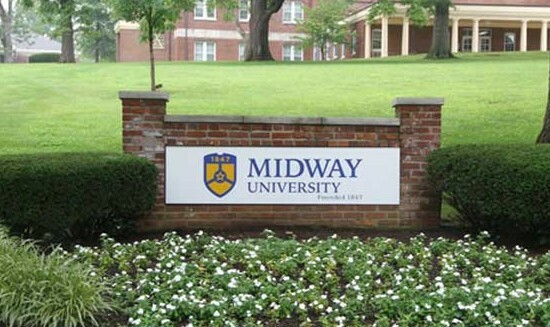 (Midway, Ky.) – On July 1, 2015, Midway College said goodbye to the name it had held since 1978 and became Midway University. The institution’s Board of Trustees began the name-change process at its November 2014 board meeting with a unanimous vote. This milestone is clearly stated in the vision statement of the university’s three year strategic plan launched in 2014. In the coming months, the university will debut its new branding effort, including new signage on campus and in downtown Midway, new advertising and promotional materials, and a new website, expected to go live in August. The university will also mark its next chapter in the fall, with a celebration to be held in conjunction with the second-annual Day for Midway. Media Contact: Ellen Gregory, Vice President Marketing & Communications, 859-846-6046, egregory@midway.edu.